Attleboro, 0 @ King Philip, 7 – Final – King Philip raced out to a 6-0 lead at halftime and never looked back, notching its fourth win of the season. Alli Meehan had four goals while Christina Hathaway recorded two assists. Claire Lawler, Nicole Connors and Caroline Klim each scored once for the Warriors. North Attleboro, 1 @ Canton, 7 – Final – Maggie Malloy netted a hat trick and Andrea McNeil registered four points as Canton picked up a key division win at home over North Attleboro. McNeil scored once and added three assists. Taunton, 1 @ Mansfield, 1 – Final – Taunton took the lead seven minutes into the second half but Mansfield found the equalizer less than two minutes later to settle for a draw. Diana Brens put Taunton ahead on an assist from Liana Duarte while Kristina O’Connell tied the game with the assist going to Ann Maher. THS head coach Liz Hathaway said Brens, Duarte, Mabel Smith and Jillian Pagliuca had strong performances for the Tigers while Emma Sheehan totaled seven saves in net. Stoughton, 3 @ Milford, 4 – Final – Milford’s Shannon Cormier scored twice and assisted on the game-winning goal to help the Hawks edge visiting Stoughton. The Hawks erased a pair of first half deficits and took a 3-2 lead into the break on Cormier’s second goal, assists by Kate Wimette. The Black Knights tied the game up at 3-3 but Cormier set up Danielle Fokas for the game-winner. Fokas also had an assist while Ashlyn Olivieri scored once on an assist from Bella Gonzalez. Alanna McCormick, Julia Russell and Jordan Lyons scored for Stoughton. Milford, 182 @ Sharon, 171 – Final – Sharon’s Corey Carter carded a match medalist round of 40 to lead the Eagles to a win over Milford. 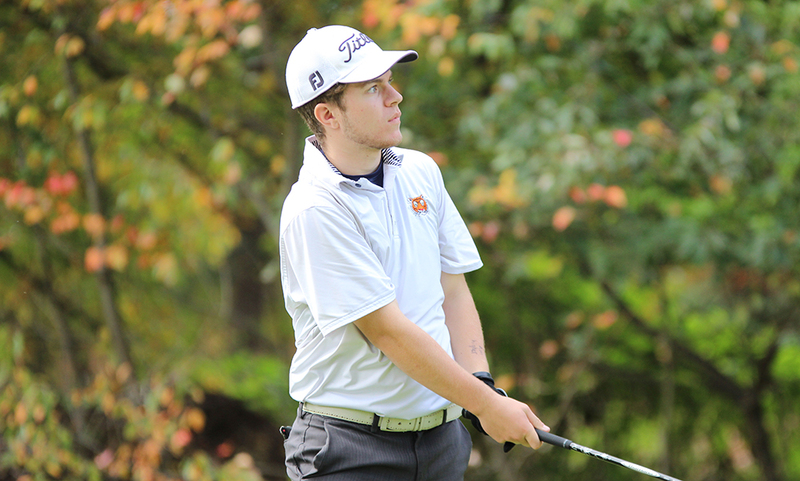 Zach Tammaro paced the Hawks with a round of 42. Attleboro, 167 @ Stoughton, 186 – Final – Final – Kyle DelSignore earned match medalist honors for the Bombardiers, shooting a low-round of 38. Taron Mills added a 42 and Ethan Johnson shot 43. Stoughton’s Brendan Campbell carded a team-low round of 39. 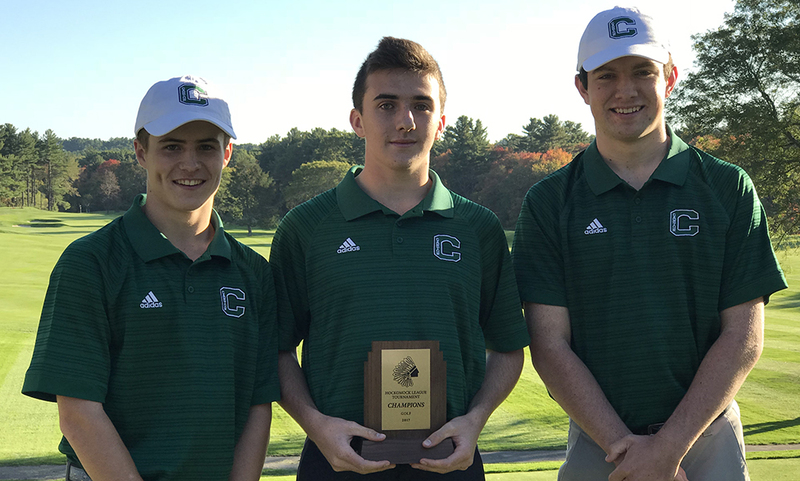 Foxboro, 166 @ Canton, 155 – Final – Canton’s Danny Powers and Joey Vaughan shared match medalist honors for the second straight day, each carding a low round of 38 in the Bulldogs’ win. Jack Goyetch added a 39 for Canton while Noah Hicks and Matt Lathrop led Foxboro, each carding a round of 41. Taunton, 276 @ Coyle & Cassidy, 292 – Final – Taunton’s Jack Patneuade shot a team-low round of 38 to lead the Tigers to a win over rival Coyle in a match that counted six cards. Jack Giebel shot a 42 and Spencer Andrews carded a round of 45 for Taunton.